Last night was a beautiful one in the 'Burgh. I wish I would have been on a boat near Heinz Field... lots of people were out and about for the U2 concert. I took a few pictures on my camera phone but this one from The Drunk Yinzer is spectacular. Slainte! We're happy you like the pic! Thanks for the shout out. 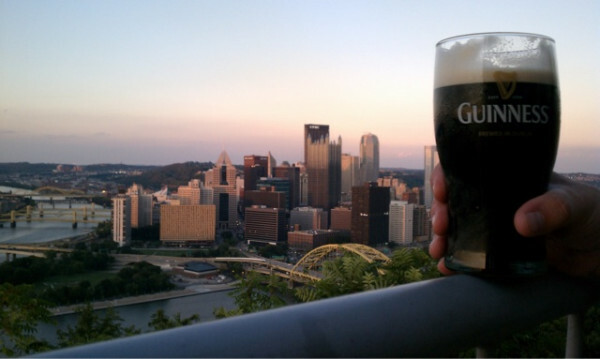 Two of my greatest loves- beer & Pittsburgh! :) Nice site!